Overgrown shrubs or bushes should be cut back so there is an unobstructed view of the home. Trim tree branches if they are in the way. Landscape lighting makes a home look very attractive at dusk. Use solar-powered LED lights or have professionally installed landscape lighting. 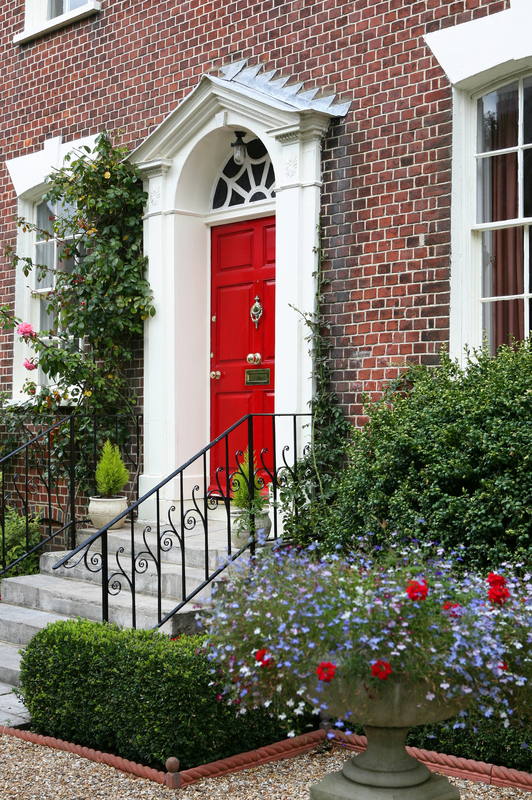 Make sure the front door is in great condition. Does it need painting? Does the hardware need replacement or simply a good buffing? Address numbers should be easy to see. (See inspirational ideas for address numbers here.) The mail box should be in good condition. 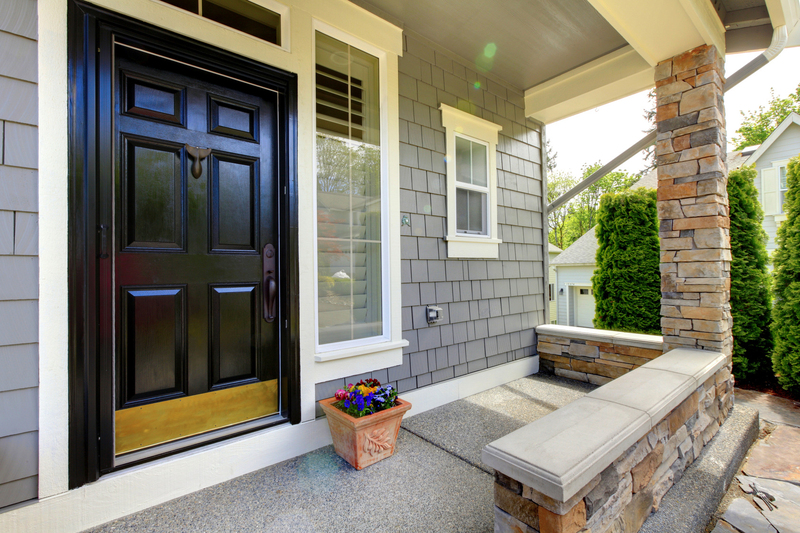 A door mat is always a good idea since your home will be getting lots of foot traffic from potential buyers. Keep the yard mowed and tidy during spring and summer. Leaves should be removed regularly in the fall. In the winter, you will need to have the sidewalks and driveway shoveled regularly. 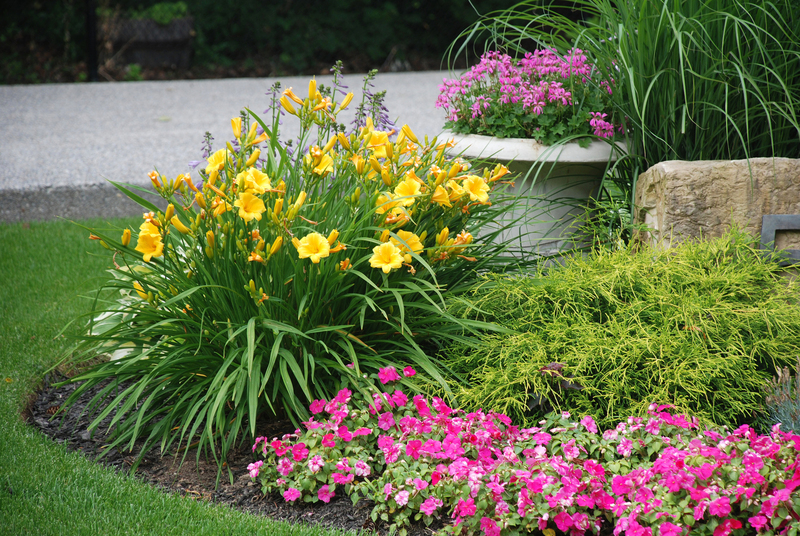 During warmer months, pay attention to plants and shrubs. If your front entrance does not offer a lot of color, you may want to consider planting flowers in pots to attract the eye. Mulch can make landscaping look fresh. No clutter! All toys and bikes need to be stowed in their proper places and not on the lawn. 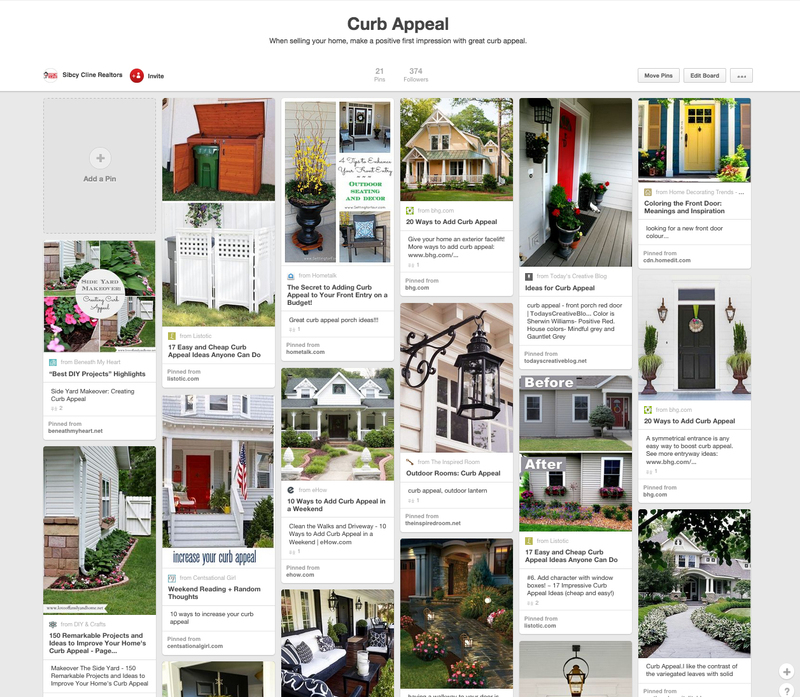 Look at Sibcy Cline’s Pinterest Curb Appeal Board. Sibcy Cline Home Services can connect with you with many home-related vendors who can make your home look its best! 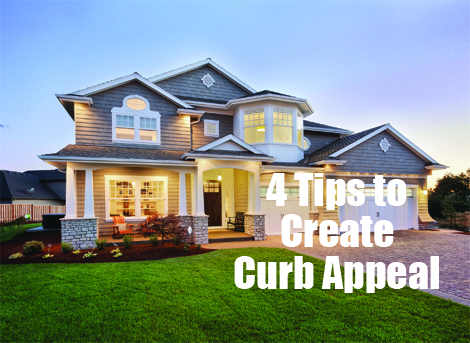 This entry was posted in Home Services, Real Estate, Selling A Home and tagged curb appeal when selling a home, Sibcy Cline Home Services by susanaknabe. Bookmark the permalink.